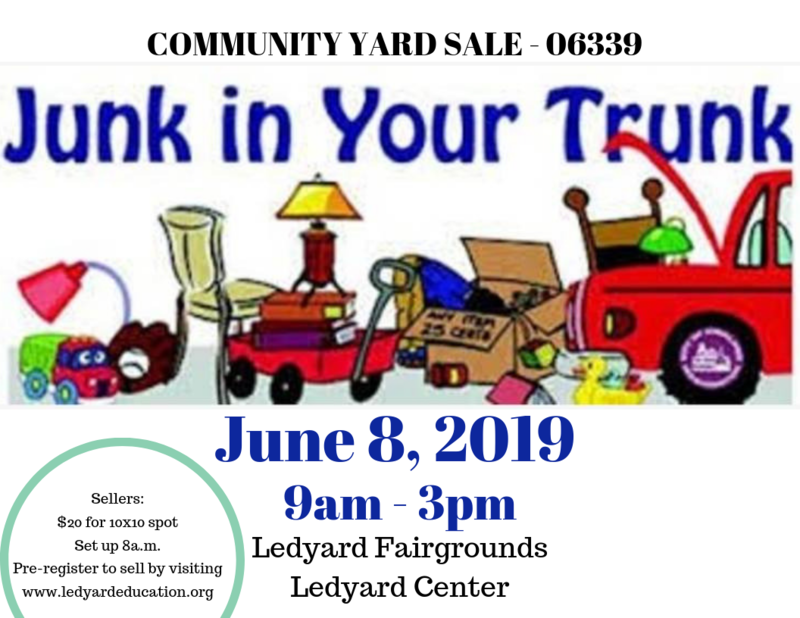 LEAF is hosting a Junk in your Trunk event on June 8th to coincide with the town-wide yardsale for 06339. If you don't have a yard, maybe have an out of the way yard, don't want people at your house? ​Rent a 10x10 spot on the fairgrounds for $20. ​You can arrive no earlier that 8 a.m. for set up.